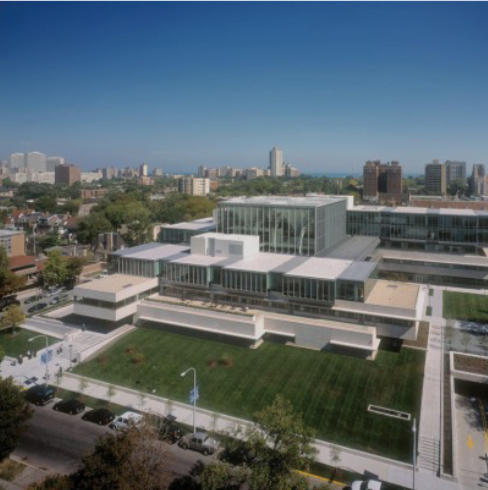 UNIVERSITY OF CHICAGO: GRADUATE SCHOOL of BUSINESS & INTERDIVISIONAL RESEARCH BUILDING – Target Group, Inc. The University of Chicago is always working to improve its campus; at any given time, the Capital Project Delivery team oversees more than 100 projects, from small-scale renovations to multi-million dollar new construction. The University’s new Graduate School of Business is located in Hyde Park and is approximately 400,000 gross sq ft. The new Research Building is an interdisciplinary research facility housing diverse types of laboratories and support spaces in the scientific disciplines of chemistry, physics, and biology. The building is 427,000 gross sq ft with five above-grade levels and two below-grade levels.